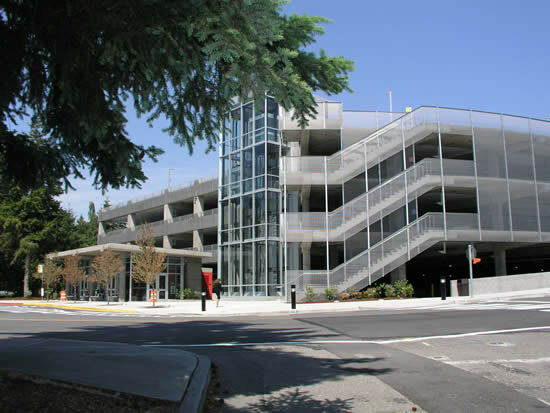 New attached parking structure to existing hospital. Located in the Center of Denver, LEI worked on the projects two parking structures to support both Employee and Visitor Parking for the new Exempla St. Joseph’s Heritage Project. The structures included more than 1,300 parking spaces to accommodate the new hospital and replace the demolished 900 car garage previously serving the campus. One garage was located on the west side of campus and the other an attached new parking structure to replacement hospital. Our scopes included: lighting, power, fire alarm, and low voltage systems.